For many years I have walked in and out of the sanctuary on Sunday morning. Most of that time I’ve been leading others in worship. Over time I’ve learned an important lesson. Whenever I have the courage to open my heart to God in worship and allow others to see inside my own doubts, fears, joy and pain, they feel empowered to open their own hearts as well. Sacred space is then created where authentic worship can flow. In my own life I’ve been reinventing worship for a long time. My book, Reinventing Sunday, this web site, my retreats and consulting work are an attempt to share what I’ve learned and make connections with others along the way. Thanks for spending some time with me here. Rarely do you find someone with a "can-do" attitude toward worship. 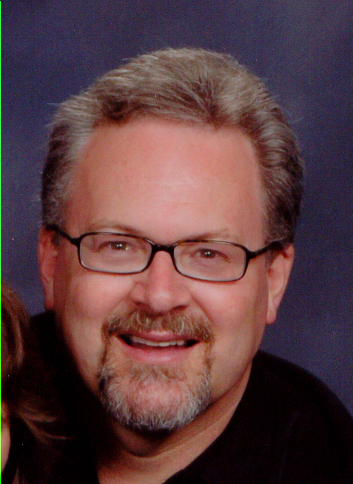 Berglund offers a tool chest of ideas to rejuvenate lukewarm pew-sitters. "Creativity in worship isn’t about making change for change’s sake. Rather, we realize that, like a dark cabin with a window that is too small, our current resources for worship may be stale, dark, and undersized for the longings of our souls. The worship leader’s task is to throw open the windows of eternity and allow the congregation to put their heads through and be transformed by an expansive view of God." 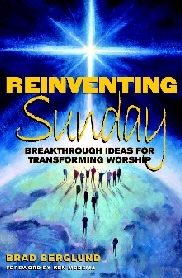 Reinventing Sunday (Judson Press, 2001), a widely acclaimed book on worship renewal and creativity in worship. Seminars and retreats on worship renewal.